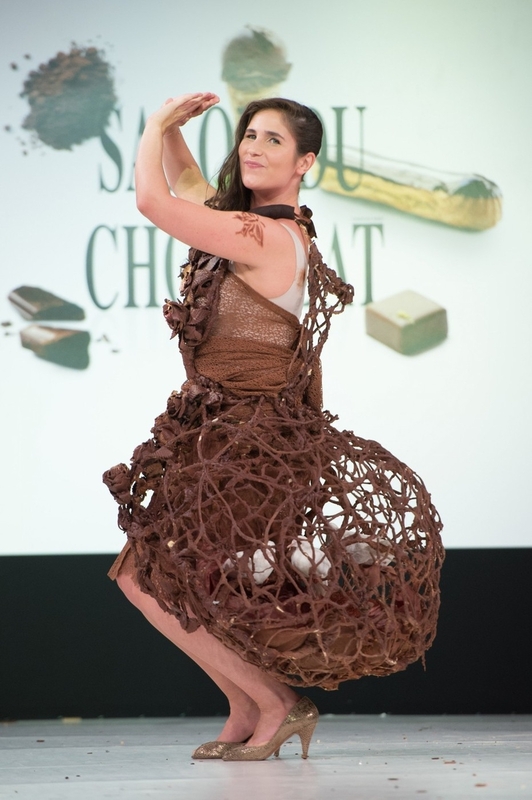 Women in dresses strewn by sweet Macarons, truffles instead of embroidery , jewelry from several kinds of chocolate... Sounds like a scene from a crazy dream? No, it is reality! 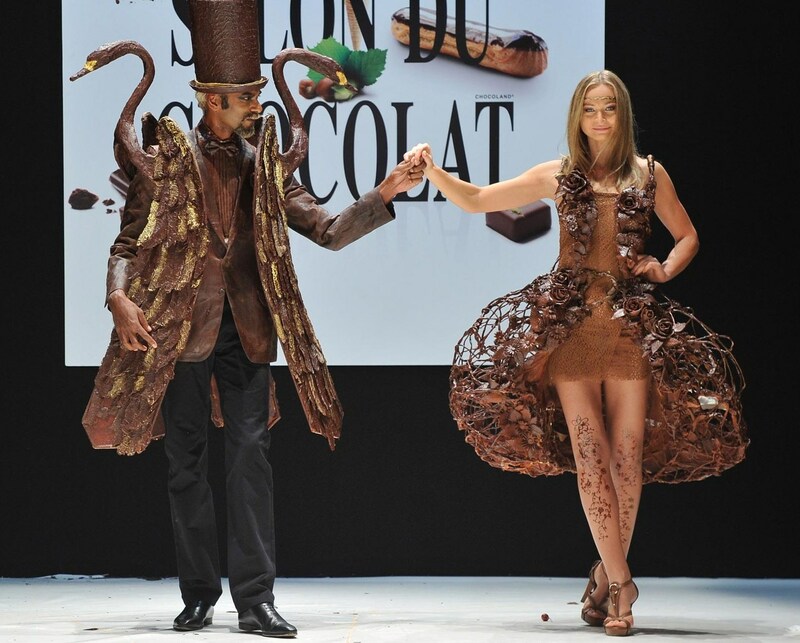 This impressively creative but passing art is possible to see in the fair „Le Salon du Chocolat“ in Paris Expo Porte de Versailles Exhibition Center from October 28th to November 1st, 2016. 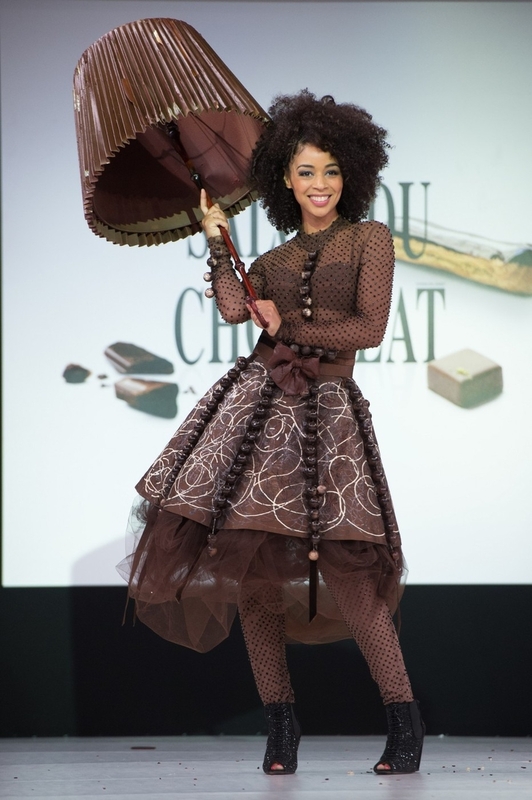 The fair "Le Salon du Chocolat" began a tradition in 1994 and since then, beside Paris, was held in places like New York, Tokyo, Beijing, Shanghai, Cairo, Madrid, Bologna, Brussels, Zurich, Seoul, Salvador de Bahia or Moscow. 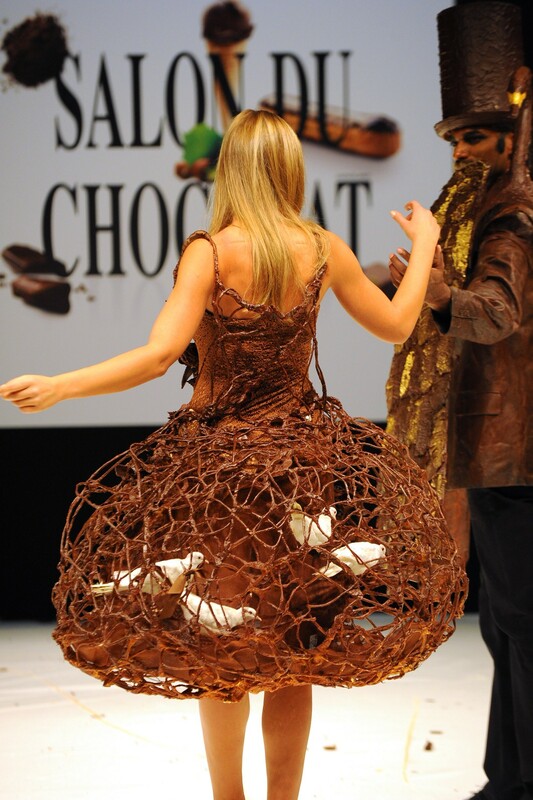 700 participants (chocolatiers, master confectioners, sculptors, pastry makers, cocoa experts... and others) from the whole world demonstrate the popular food-chocolate in almost all its forms in 20.000 sqm. A highlight of this special event is a fashion show that will take your breath away. 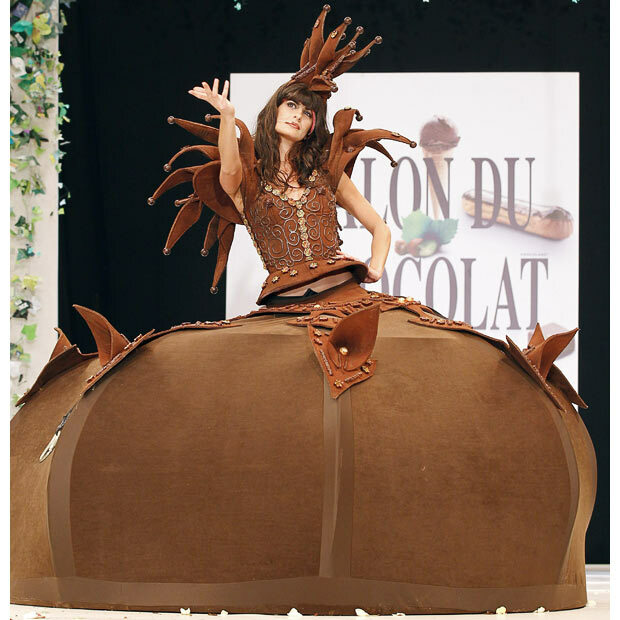 Have you ever seen a pretty woman dressed in chocolate dress? Now is your chance! The entrance fee is 14 EUR for adults.